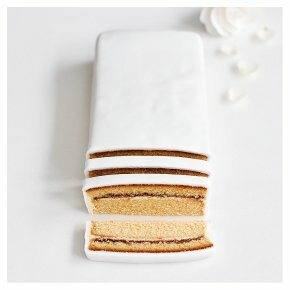 Cutting bars give you the extra portions to serve to your guests and a choice of flavours to offer them. The five available choices are covered in white sugar paste icing. A golden sponge with raspberry jam and vanilla buttercream.